Our first thought when testing this casino was; Why Dazzle casino? Are we going to see a bright light or some kind of flash or glimmer when we enter the casino? The meaning of Dazzle is often brightness, flash shimmer or shine according to dictionaries. To find out we entered the casino tested some games and wrote a review about it. Dazzle casino was founded in 2012. The casino is operated by ProgressPlay Limited and is established in sunny Malta like many other online casinos. The layout is okay, what we like about it, is that it has it’s own style and looks different from what we usually see. The main background colors are in white and blue. In the menu you can select videoslots, jackpot games or Live Casino. Among new games you can find the latest NetEnt games like Golden Grimoire, Strolling, Staxx and Scudamore’s Superstakes. In writing moment those are the latest NetEnt games so it seems like the casino is up to date. A certain discovery when we looked in the section featured slots made us glad. We found the NetEnt game Dazzle me in the section. Of course you have to play Dazzle me at Dazzle Casino. It’s a NetEnt game that we don’t play that often. Dazzle me is an entertaining fast and simple slot. The game consists of some classic seven and bell symbols and also some dazzling jewels. You can get linked reels during free spins. 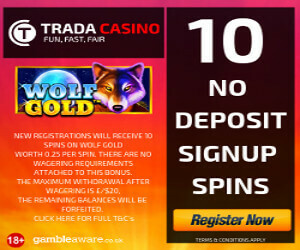 If you get five freespin symbols you will get 16 Free Spins. It’s also possible to get wild reels appearing randomly on the game field while you play. Of Course Dazzle me is among featured slots at Dazzle Casino, you have to try it! The jackpot section is not the biggest we have seen and had only one NetEnt game, the game is called Divine Fortune. The Live Casino section is okay but not the best we have seen. Live games from Evolution Gaming are offered. If you want to play Roulette, Blackjack or Baccarat there will be some games to choose between. 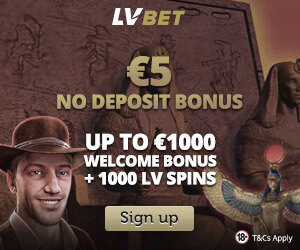 Even if the provider is Evolution Gaming we could not find the popular live games Dreamcatcher or Lightning Roulette. There is VIP-club and if you are a member the casino manager will send you customized offers and deals. 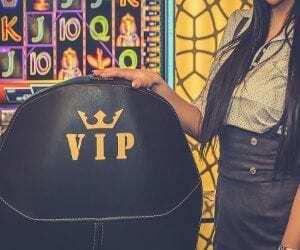 The VIP service is at the casino is good and it ‘s possible to reach different levels. The promotion page is also good and updates regularly and has weekly promotions. Sometimes the casino also offers competitions and tournaments. Dazzle Casino is a well-established brand with strong licensing. The casino receives at most times good scores on reviews. 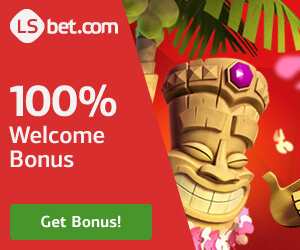 It’s a NetEnt Casino with all the good NetEnt games and a good VIP-club. There is a Welcome bonus on 100% guilty for all allowed countries, have fun! The casino is fully regulated and monitored by UKGC and MGA gambling commission, so it is a very safe and secure casino. Algeria, Angola, Armenia, Australia, Azerbaijan, Bangladesh, Belgium, Belize, Benin, Bosnia and Herzegovina, Botswana, Brazil, Brunei Darussa Lam, Burundi, Cambodia, Cameron, Central African Republic, China, Colombia, Congo, Croatia, Cuba, Cyprus, Denmark, Djibouti, Egypt, Eritrea, Ethiopia, Finland, France, Gabon, Gambia, Germany, Ghana, Greece, Haiti, Hungary, Iran, Ireland, Israel, Italy, Jamaica, Jordan, Kenya, Kyrgyzstan, Latvia, Lebanon, Liberia, Libyan Arab Jamahiriya, Lithuania, Luxembourg, Malawi, Mongolia, Montenegro, Morocco, Mozambique, Myanmar, Namibia, Nepal, Netherlands, Nigeria, Oman, Pakistan, Philippines, Portugal, Romania, Senegal, Serbia, Slovakia, Slovenia, South Africa, Spain Srilanka, Sudan, Suriname, Swaziland, Syrian Arab Republic,Taiwan Province of China, Tajikistan, Thailand, Tokelau, Trinidad and Tobago, Tunisia, Turkmenistan, Uganda, Ukraine, USA, Uzbekistan, Vietnam, Virgin Islands, Yemen, Zambia. Sign up and let the fun begin!